I'm constantly running out of time to make amazing Betty Crocker worthy meals for my family. The reality is I have to cook meals that cook themselves, meaning I toss the items together and leave it. If it is something I have to watch than it needs to be quickly cooked. So, I enjoy being able to toss something in my recipes that make the meal seem like I spent extra time on making it. One of my favorite things to do is to top off my meats. Throwing on something that adds flavor and looks great makes my life easier. 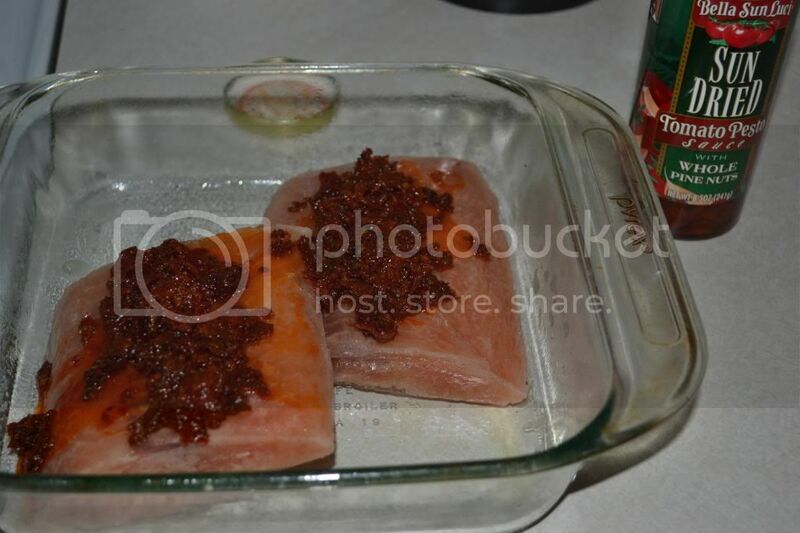 Last night I took some fillets of Salmon and I scooped on some of the Sun Dried Tomato Pesto with Whole Pine Nuts which I felt would be a great flavor with the Salmon, added a few tablespoons of water, covered with tin foil and baked for about 45 minutes on 350. It was a great way to make a boring baked salmon meal into an amazing dish for my family. These products are great ways to make a family smile without adding hours to your cooking! Check them out on Facebook and on Twitter! Our authentic bruschetta originates from an authentic family recipe that combines sun ripened tomatoes, fresh basil, premium olive oil, and Italian herbs to create a truly “homemade” flavor. Mooney Farms, manufacturer of the Bella Sun Luci line is family owned and operated, located in Northern California. 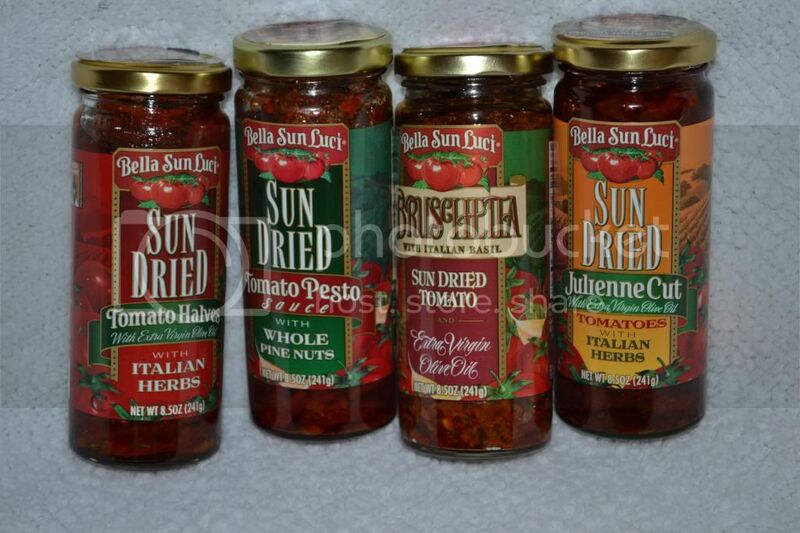 We are the largest producer of sun dried tomatoes in the U.S. . The most traditional use is to toast your favorite bread and spread our bruschetta directly on top for a simple and delicious appetizer. But, it is just as amazing stirred into your favorite cooked pasta! Our bruschetta is versatile, you can use it as a sauce on your gourmet pizza, or on your next Panini or wrap for added flavor. The possibilities are endless, so be creative!